Yesterday in the morning rush. 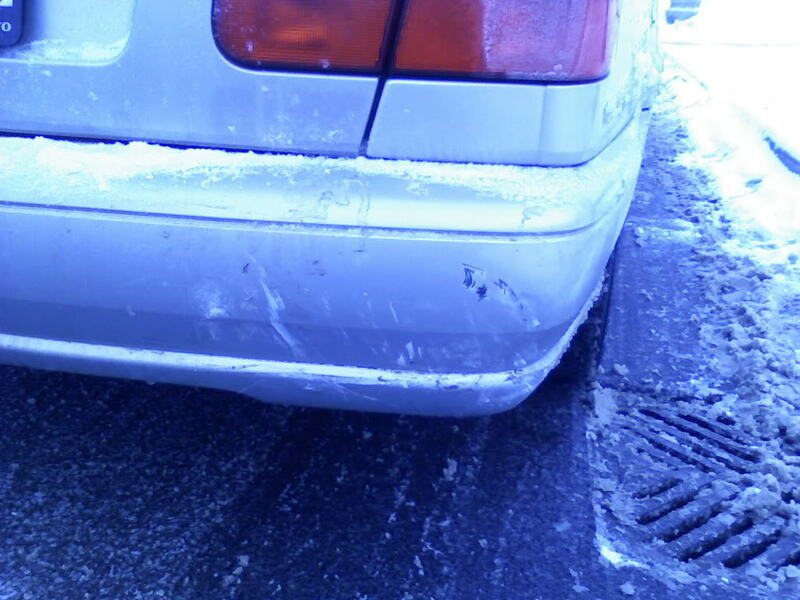 I was driving to school and I rear-ended a Volvo s70 and I scratched up here paint alot. My civic took most of the damage, busting my driverside light and bending my hood and fender. We went to change information, and she did not have her insurance papers on her.... in my head I thought I should told her to **** off and booked it. But the good guy I am I still took blame for the accident. She didn't go write up a report with the cops. She just told me that she'll send me an estimate on the damage. Now I realize that since she didn't have her insurance papers on her and I don't think I should pay for the damages since she did not write a report, or make a claim with my insurance. I don't know if I should let this go to court or just pay it off? Any idea's of that I should do? If you have an at fault accident her insurance will go up alot, unless you have accident forgivness. It is really up to you, I myself would wait for the estmaite and see what she wants and use going to insurance as a way to talk her down. Like come on, there isn't much damage, she just most likely wants to pocket some cash. She most likley won't fix it even if you pay her. I accidently bumped a guy before and just paid hime cash on the seen, just went to the atm and took out $300 and he was happy, similar damage. the good guy that you are? you rear ended her you clown. all she needed was your plate and po-po to show up and see your front bumper. Being the good guy that you are means you didn't risk also getting your license suspended. remember, if she goes to insurance, you will be at fauly on your insurance because you rear ended her. assuming you are paying for the damage that you caused, i'd suggest they write something saying you've paid in full, or give them a cheque and in the memo section write 'full payment for collision'. Why would you just forget about paying her because she doesnt have insurance? What is this world coming to!?!?! YOU HIT HER! so simply you pay up! unless you want to be the scum piece of **** like your making yourself out to be! they gave me an estimate from the "volvo dealership", of $1000. I said to her, not 998.10 or something like that? she said no 1000 was the quote. and kwik she has insurance but she didn't have her papers on her. $1000 for a bumper and paint from volvo seems about right. She has every right to have her car back to how IT WAS before you hit her. I was hit by a lady, damage wasnt that bad but i refused to have any bondo because my car didnt have bondo when it was built so i demanded a new panel be installed. She can still submit a claim to her insurance company. If she does, her rates will not rise because you ran into the back of her and that makes the collision 100% your fault by law whether or not you are charged or go to court. Insurance companies talk to each other a LOT. If you try to stiff her and she goes through her insurance, she will be passing your information to her insurance company. Her insurance company will pass information about the collision and damage on to YOUR insurance company. When that happens, you potentially get screwed twice, first for having a collision, and second for not reporting it to your insurance company. One can result in higher rates, while the other can result in your insurance company cancelling your policy. Whether she lets you pay or whether she goes through her insurance company, she gets to decide where she takes her car to get it fixed. She should hold out and demand that you pay for a rental car while her car is in the shop as well. Quite frankly, I'm almost hoping you try to skip out on her. She'll still get her car fixed at no cost to her, but you'll end up taking it hard up the backside. Got into a major accident with no insurance, HELP!